Invited at the "Holiday on Top" show in Top Channel, the mayor of Tirana Erion Veliaj has revealed his future plans in politics and his relations with the Prime Edi Rama. He asserts firmly that will be a candidate for a second term to run the Albanian capital. "For the next year of course I will be subject to a ruling by the Socialist Party. I run with that uniform, with that blouse. The desire is to move things forward," said Erion Veliaj. But what is the relationship with Prime Minister Edi Rama and does he received his blessing for all the work done by the Mayor? "I'm very lucky. I do not know how to work with a prime minister who does not support you, because I have seen only one excellent side of a mayor supported by his prime minister, but fortunately he has been also the Tirana Mayor. If someone needs to explain this, see that this canalization ... that this road separates the neighborhood, he clicks right away. I was very blessed, "Veliaj said. Talking about the affairs in Tirana and politics Erion Veliaj tells whether one day he will lead his "political house", the Socialist Party. "First I do not have this ambition, I'm completely involved in Tirana. We have a Prime who is doing very well his duty. However, Edi Rama will enter in the history as Albania's best prime minister since the independence, if we look at how many traces he has left and see how he has transformed not the logistics ... when someone asks what is the hardest job, I say: 100 km of paved roads are not difficult to be made, but does he changes the minds of the people? Edi will definitely be evaluated for these Lungomare and Infrastructure. How did we learn to pay taxes, pay electricity, not steal the water, not steal public space, not build without permission. 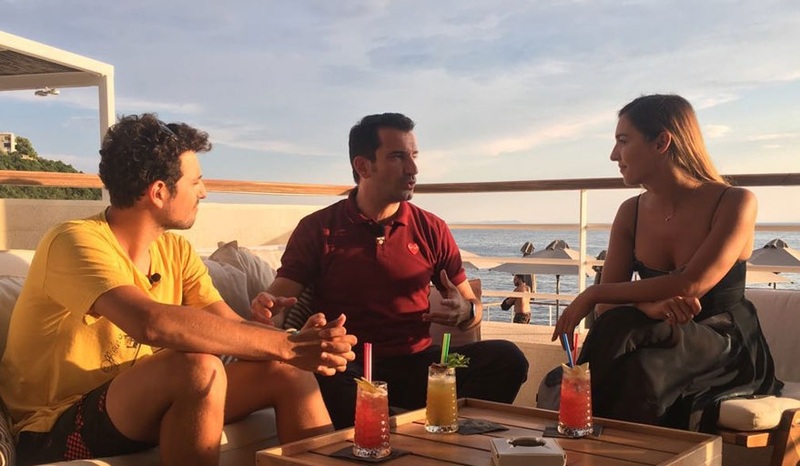 The fact that has changed the mentality will give Edi Rama a very important place in history," said Erion Veliaj among other things.